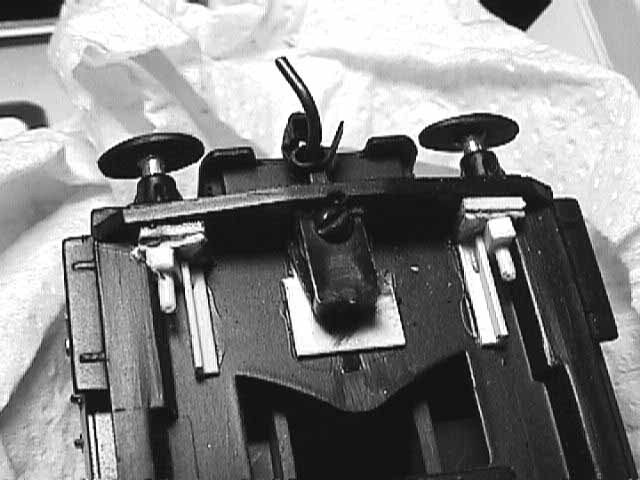 These pictures show Kadee couplers fitted to the headstocks of Bachmann Mk1 vehicles. 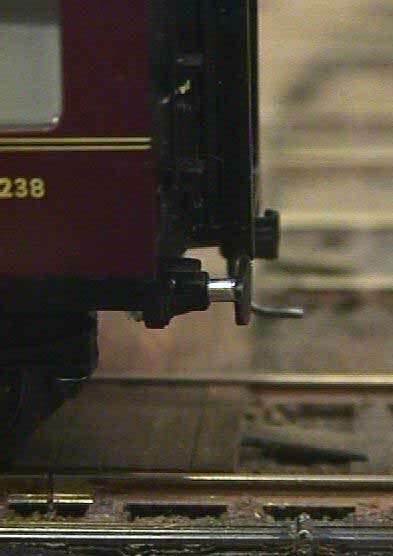 The pictures also show the modified sprung buffers. 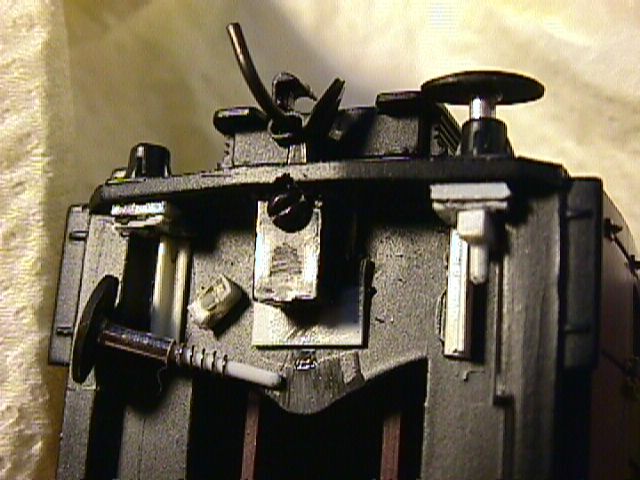 The heads of the original Bachmann buffers were cut off, and drilled to take 1mm styrene rod. The rod is pushed through the hole and left overnight to dry, then finished on the face after. The rod is then sleeved to just inside the buffer housing with plated brass tube, 1mm bore x 1.5mm od. This plating is not readily available now, but Finney and Smith do a tube of the same dimensions in stainless steel. Or you may be able to find the same in nickel silver. 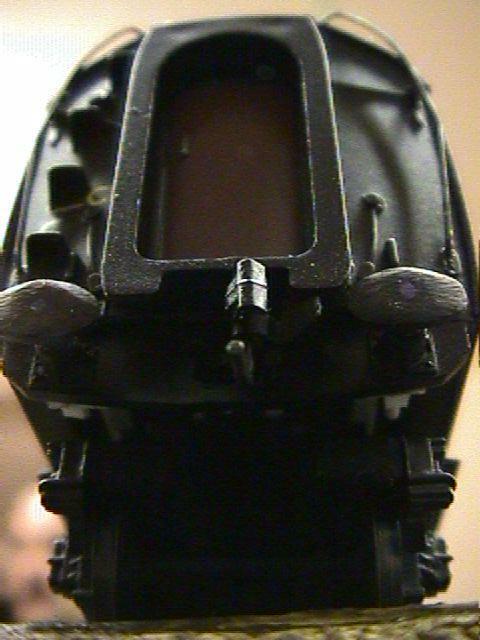 The existing buffer housings were drilled 1.5mm sliding fit, and then capped behind the buffer beam with scrap styrene. Once dry (next day), a hole was started with a 1.5mm bit to centre the hole, then drilled through 1.0mm so as to retain the spring, a spare from Kadee. These give a soft return. 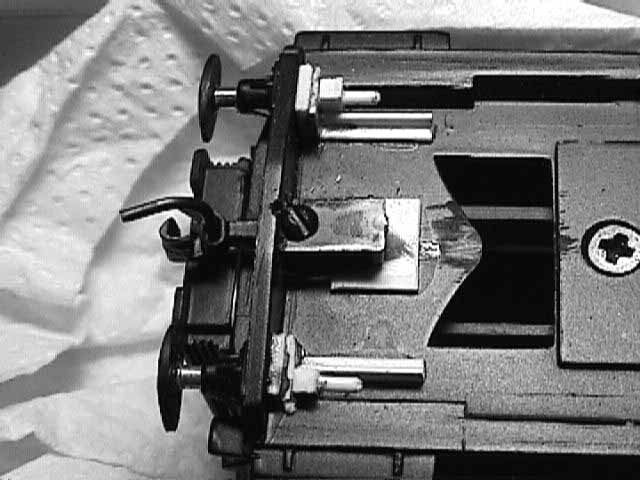 The anti-rotation guides were made up from scrap styrene, using a broach to make an adjustable interference fit between the rod and the anti-rotation peg.